What are the primary sources of law, regulation and practice relating to corporate governance? Is it mandatory for listed companies to comply with listing rules or do they apply on a ‘comply or explain’ basis? What are the primary government agencies or other entities responsible for making such rules and enforcing them? Are there any well-known shareholder groups or proxy advisory firms whose views are often considered? What powers do shareholders have to appoint or remove directors or require the board to pursue a particular course of action? What shareholder vote is required to elect or remove directors? What decisions must be reserved to the shareholders? What matters are required to be subject to a non-binding shareholder vote? To what extent are disproportionate voting rights or limits on the exercise of voting rights allowed? Are there any special requirements for shareholders to participate in general meetings of shareholders or to vote? Can shareholders act by written consent without a meeting? Are virtual meetings of shareholders permitted? Are shareholders able to require meetings of shareholders to be convened, resolutions and director nominations to be put to a shareholder vote against the wishes of the board, or the board to circulate statements by dissident shareholders? Do controlling shareholders owe duties to the company or to non-controlling shareholders? If so, can an enforcement action be brought against controlling shareholders for breach of these duties? Can shareholders ever be held responsible for the acts or omissions of the company? May the board be permitted to issue new shares without shareholder approval? Do shareholders have pre-emptive rights to acquire newly issued shares? Are restrictions on the transfer of fully paid shares permitted and, if so, what restrictions are commonly adopted? Are compulsory share repurchases allowed? Can they be made mandatory in certain circumstances? Do shareholders have appraisal rights? Is the predominant board structure for listed companies best categorised as one-tier or two-tier? What are the board’s primary legal responsibilities? Whom does the board represent and to whom does it owe legal duties? Can an enforcement action against directors be brought by, or on behalf of, those to whom duties are owed? Do the board’s duties include a care or prudence element? To what extent do the duties of individual members of the board differ? To what extent can the board delegate responsibilities to management, a board committee or board members, or other persons? Is there a minimum number of ‘non-executive’ or ‘independent’ directors required by law, regulation or listing requirement? If so, what is the definition of ‘non-executive’ and ‘independent’ directors and how do their responsibilities differ from executive directors? How is the size of the board determined? Are there minimum and maximum numbers of seats on the board? Who is authorised to make appointments to fill vacancies on the board or newly created directorships? Are there criteria that individual directors or the board as a whole must fulfil? Are there any disclosure requirements relating to board composition? Is there any law, regulation, listing requirement or practice that requires the separation of the functions of board chairman and CEO? If flexibility on board leadership is allowed, what is generally recognised as best practice and what is the common practice? What board committees are mandatory? What board committees are allowed? Are there mandatory requirements for committee composition? Is a minimum or set number of board meetings per year required by law, regulation or listing requirement? Is disclosure of board practices required by law, regulation or listing requirement? How is remuneration of directors determined? Is there any law, regulation, listing requirement or practice that affects the remuneration of directors, the length of directors’ service contracts, loans to directors or other transactions or compensatory arrangements between the company and any director? How is the remuneration of the most senior management determined? Is there any law, regulation, listing requirement or practice that affects the remuneration of senior managers, loans to senior managers or other transactions or compensatory arrangements between the company and senior managers? Is directors’ and officers’ liability insurance permitted or common practice? Can the company pay the premiums? Are there any constraints on the company indemnifying directors and officers in respect of liabilities incurred in their professional capacity? If not, are such indemnities common? To what extent may companies or shareholders preclude or limit the liability of directors and officers? What role do employees play in corporate governance? Is there any law, regulation, listing requirement or practice that requires evaluation of the board, its committees or individual directors? How regularly are such evaluations conducted and by whom? What do companies disclose in relation to such evaluations? Are the corporate charter and by-laws of companies publicly available? If so, where? What information must companies publicly disclose? How often must disclosure be made? Do shareholders have an advisory or other vote regarding executive remuneration? How frequently may they vote? 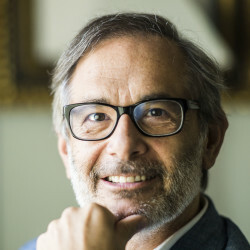 Do shareholders have the ability to nominate directors and have them included in shareholder meeting materials that are prepared and distributed at the company’s expense? Do companies engage with shareholders? If so, who typically participates in the company’s engagement efforts and when does engagement typically occur? Are companies required to provide disclosure with respect to corporate social responsibility matters? Are companies required to disclose the ‘pay ratio’ between the CEO’s annual total compensation and the annual total compensation of other workers? Are companies required to disclose ‘gender pay gap’ information? If so, how is the gender pay gap measured? 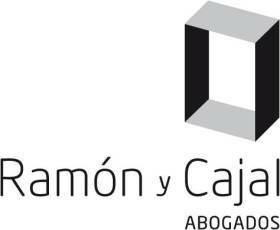 Ramón y Cajal Abogados provides legal advice to companies and individuals at its offices located in Madrid and Barcelona. In particular, it provides legal advice in all areas of business law and public law, being particularly specialised in areas such as capital markets, finance, corporate governance, corporate compliance, tax, litigation, competition, real estate, employment and new technologies, among others.